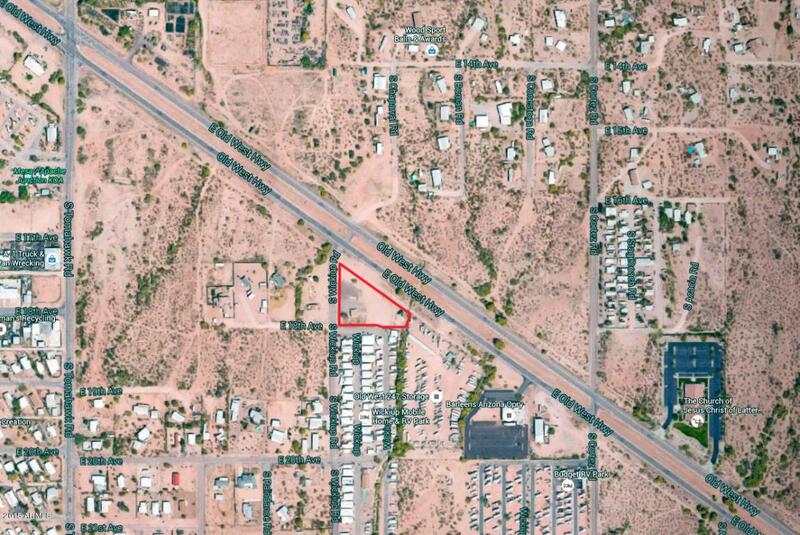 Developed 1.89 acres (county records) on Old West Highway. Zoned B-1. 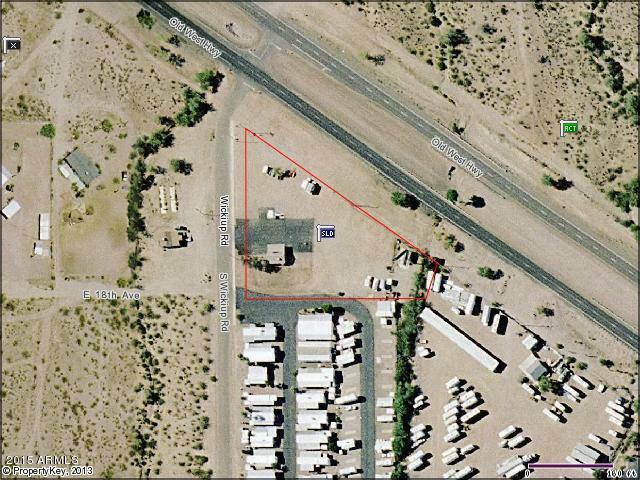 Includes two parcels: APN's 103-20-008A and 103-20-013B (.25 acres). Level property and improved with turn lane, curb, water, sewer, electric, water retention, and fire hydrant. Existing 600sf building, w/pitched roof and rest room. Also, 400sf concrete pad and 2 car carport canopy. CBS Outdoor billboard lease expires 9/2021 and current rent is $1,200/year, escalates to $1,500/year 9/2016. Survey available. Zoned B-1 (was CB-2-name change only). Formerly the Apache Propane/U-Haul property.